For undergraduate courses in Child Development taught Chronologically. Boyd/Bee provides students the most support for learning and success. 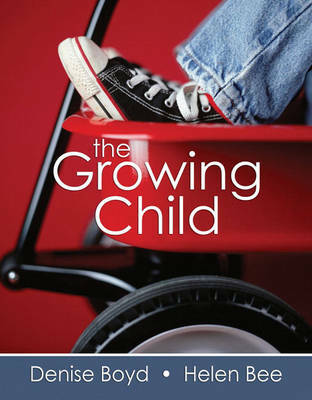 The Growing Child emphasizes how the three domains of development - physical, cognitive, and socio-emotional - interact with each other and with the environment to affect developmental outcomes. Featuring an innovative student-focused format, it provides the self-assessment tools necessary to keep students engaged in active learning from start to finish, as well as the most support to help students organize, understand, and apply the material. Want to learn more about MyVirtualChild? Visit www.mydevelopmentlab.com and click on the `watch this video' link to learn about MyVirtualChild. MyDevelpmentLab with MyVirtualChild is available at www.mydevelopmentlab.com.